Hi, Connie here with a card for that special Mom in your life. Mother's Day is fast approaching and Quick Quotes has some great paper collections that will make great cards for that special person! I used the Chiffon Collection to create this one. 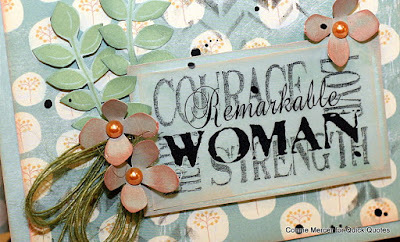 The sentiment is from Vellum Quotes/Family by Quick Quotes! 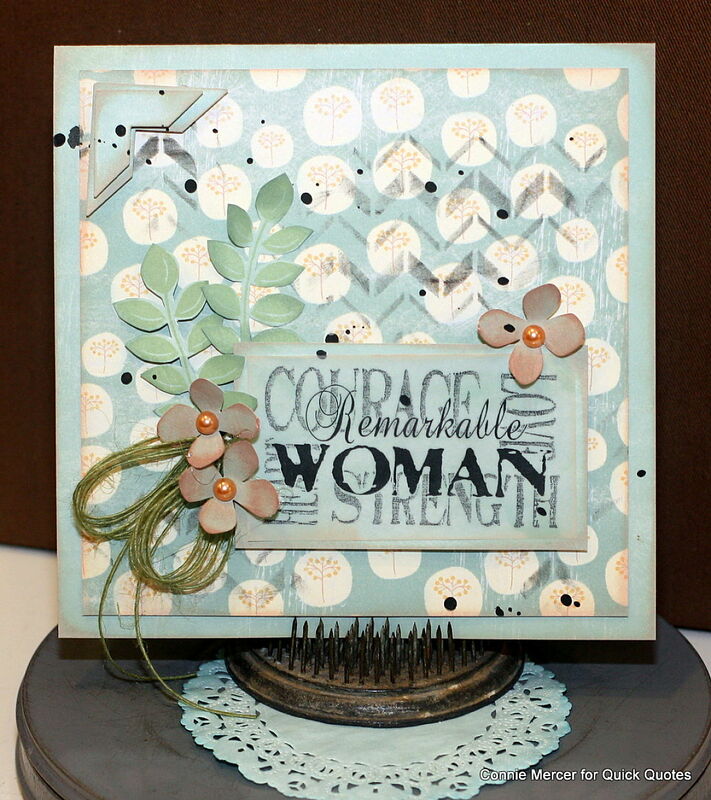 The flowers and leaves were created using a steel die then inked with Quick Quotes PowderPuff Chalk Inks. Love the look the chalk ink gives the flowers and leaves, so soft looking. Quick Quotes makes it easy and fun to create special cards. They carry a line of Vellum Quotes that are perfect for card making and when you are at a loss for just the right thing to say. Gorgeous card - love all the pretty details.